Seth Kretzer is an aggressive criminal trial lawyer, appellate advocate, and habeas corpus litigator, licensed in the state bars of Texas, New York, and Colorado. Attorney Kretzer graduated from the University of Texas School of Law with honors, where he served as Articles Editor of the Law Review. Following his graduation, he served as a law clerk to U.S. District Judge David Folsom in Texarkana, one of the most active patent-litigation dockets in the United States. For his second judicial clerkship, Attorney Kretzer served a year as a law clerk for Judge Thomas M. Reavley on the United States Court of Appeals for the Fifth Circuit. He later joined Fulbright & Jaworski (now Norton Rose Fulbright), one of the biggest civil litigation firms in the world, before establishing his own law firm devoted exclusively to litigation. Attorney Kretzer’s first criminal-appellate client was Tyrone Williams, a truck-driver convicted in the deaths of 19 aliens smuggled across the border with Mexico. After seven years of litigation, and two jury trials seeking the death penalty on Mr. Williams, Attorney Kretzer obtained a unanimous appellate reversal from the Fifth Circuit which resulted in Mr. Williams’s sentence being reduced to a term of years on remand to the federal district court who had tried the case. In the years since, Attorney Kretzer has argued more than thirty criminal appeals in the Fifth Circuit. 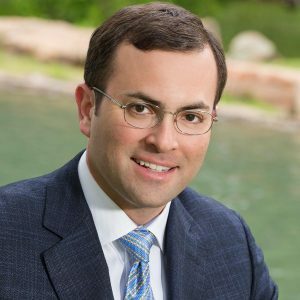 Past clients have included Mark Kuhrt (an accountant tried in the prosecution of Alan Stanford’s $2 billion Ponzi scheme), Don Hill (a City Councilman charged with public corruption and tried for 54 days before a federal jury in Dallas), and William Tisdale (mortgage fraud prosecution of former Dallas Cowboys football players). Knowing what a lawyer should have done- but perhaps missed- at the trial informs our habeas corpus practice. Attorney Kretzer has prosecuted evidentiary hearings on habeas corpus petitions in federal courts in Denver, El Paso, Tyler, and Brownsville. In three of Attorney Kretzer’s capital habeas (death penalty) writs, the federal district courts have granted stay and abet motions to return to state court to exhaust claims missed by the original state habeas lawyers. Mr. Kretzer is also often called on to assist clients with civil litigation. In recent years, Mr. Kretzer has won appellate reversal of a $20 million ‘death penalty’ discovery sanction in the Texas intermediate court of appeals, argued a civil fraud appeal in the state appeals court in Phoenix, Arizona, and prosecuted a fraudulent conveyance case in Harris County Court at Law where he was the named plaintiff in his capacity as court-appointed receiver. Attorney Seth Kretzer regularly visits the Joe Corley Detention Facility in Conroe, the Federal Detention Center in downtown Houston, FCI Seagoville just south of Dallas, and nearly every other jail and prison in the area. The Law Offices of Seth Kretzer is located in Houston, Texas and regularly works on cases being tried in Beaumont, Dallas, San Antonio, Austin, Midland, Plano, El Paso, Brownsville, McAllen, Corpus Christi, Galveston, Harris County, Montgomery County, Fort Bend County, Liberty County, Chambers County, Grimes County, Galveston County, Collin County and cities throughout the state of Texas. Major credit cards accepted. Ask us about our flexible payment plans. Spanish translation services available at all times.